The perfect farm on 4.86 acres. 3265sq Remodeled 5 bedroom + den, cape cod home with claw tub, love seat veranda & mnt views. Its all set up nice barn w/lean to, current owners have two horses & two llamas & also raise a few pigs, turkeys, cornish hens & having laying chickens. Nice garden area & a fish pond too. Huge covered sundeck for those evening barbecues. 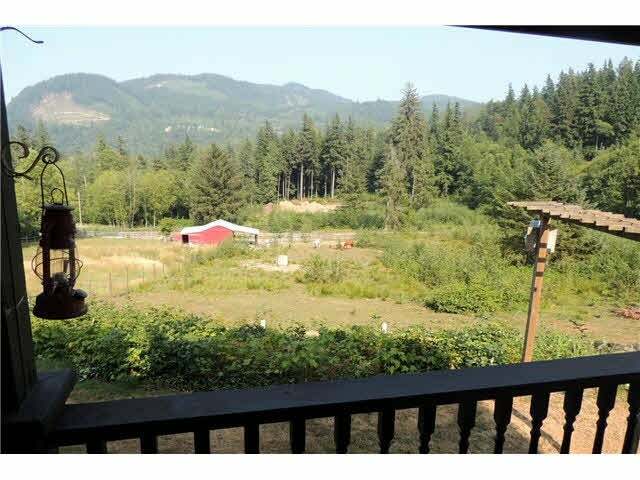 Private & close to town, horse back riding & lots of hiking trails close by. The dream is yours.